When it comes to basketball, there may not be a better ambassador for the game than Nancy Lieberman. The living legend’s list of accomplishments is virtually endless. She honed her game in Harlem at the famed Rucker Park. She won a pair of National Player of the Year awards and an Olympic Silver medal during her collegiate days in the late 1970s. From there she became a WNBA player, coach, general manager and analyst. All of these significant accomplishments led to her now famous opportunities in the NBA. Donnie Nelson made her the first female head coach of a men’s professional team in 2009 when she took the reins of the Texas Legends in the NBA’s D-League. Four years later she would join the Sacramento Kings as an assistant coach, becoming the second female assistant coach in NBA history. The basketball pioneer is now a championship-winning coach in Ice Cube’s BIG3 league. 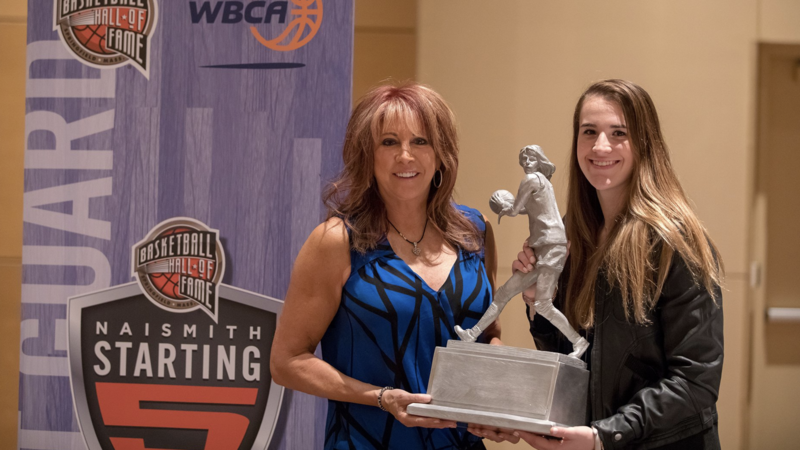 We spoke with Lieberman this week to discuss her tremendous career, her impact on the game of basketball and how her success has opened the door for the next generation of female basketball players. Given your track record in the D-League, the NBA and now with the BIG3, was it your dream to coach men at the highest level? No, it was never my dream, it was simply a fantastic opportunity. My dream, truthfully, was to be a great basketball player. I’m a girl from the 60s where we didn’t have Title IX or gender equity, and we didn’t have the WNBA. Coming from that background, to still be relevant in the basketball world here in 2018, I feel very fortunate. But it all started with playing the game. It was my Willy Wonka Golden Ticket, so to speak. Being a great player opened a host of opportunities for me. Generally speaking, you can play the game, you can coach the game or you can do TV to promote the game. I’ve had the opportunity to do all three of those things. Being a trailblazer along with Becky Hammon in the NBA, did you ever feel any added pressure to not only succeed personally but to also succeed in a way that helps the equality movement? People often ask me about the pressure associated with coaching men and I always answer it the same way: There’s no pressure in what I do. These positions I’ve held have been tremendous opportunities and by doing what I love, pouring myself into the roles fully, I’ve never felt any added pressure to succeed. If anything, I still get excited to coach, particularly when dealing with the challenges that pop up. Taking it further, I’m not scared to compete against men. The only time you should feel scared or fearful is when someone doesn’t give you an opportunity. I’m a grinder, I don’t take anything for granted, I just do my job to the best of my ability. Whether that’s coaching in the WNBA or the NBA or leading a team to a championship in the BIG3, it’s an incredibly exciting opportunity. It’s incredibly rewarding, knowing that by doing this on the biggest stage with the best in the world, perceptions and narratives of women in sports are changed. In the end, the biggest thing I can accomplish is normalizing what I’m doing for the public, because it’s certainly normal for me. What is the most striking difference in youth sports today compared to your upbringing? Everything is on the table now. Everything is possible. There are opportunities everywhere today and most importantly there are men throughout the sports industry willing to give young women the chance to be whatever they want to be. I know this firsthand. Adam Silver, the commissioner of the NBA, said he’d love to see a woman be a head coach in his league sooner rather than later. When those comments come from the top, they’re impactful. Then you have Gregg Popovich giving Becky Hammon her opportunity and Vlade Divac giving me my opportunity, this goes to show the shift in the industry with men being in our corner. I’ll tell you this, the day of blaming men for holding back women, that’s off the table now. Every major job that I’ve held that has been associated with breaking through a ceiling or barrier…I’ve been hired by men. Don Nelson should get an enormous amount of credit for making me the first female head coach of a male professional league (D-League). He did that in 2010, and to this day I believe that by doing so he opened the door for me, for Becky, and he planted a seed in the minds of his peers. Fast-forward to our BIG3 championship and you have Ice Cube on the podium saying how great it is that women can accomplish absolutely anything. And thanks to Don Nelson, Becky and I have been able to succeed so that the next generation of young girls behind us don’t have to “fight the fight.” They’ll just have to do their jobs. If you were able to snap your fingers and change anything about the youth sports experience for girls in this country, what would that be? Just to make things normal. I can remember going to the White House after I was hired by the Dallas Legends (D-League) and meeting Barack Obama. And he spoke to me and my son and shared that while he knows he’s the first African-American president, it’s his job to make it normal. Being a leader was normal to him. And he said to me, you’ve been playing and coaching basketball your whole life, it’s normal to you, even if it’s not normal to the public at large. It’s our job to make it normal. And truthfully that’s all I’m trying to do. I have a clear vision of who I am, what I am, and what I’m trying to accomplish. My goal is to make women in coaching normal for both men and women. You can see it in NBA today, the players have tremendous respect for WNBA players and the history of women’s basketball. They know how hard we work. It’s not my fault that I was born in 1958, and I refuse to use that as an excuse for why it’s not possible to achieve something. I’m not a victim, I’m a victor. And I want young women to know that if someone can make you better, it doesn’t matter what their gender, race, religion or age happens to be. Sports is a trillion dollar business and I’m in the middle of it, and I can tell you if you can do the work and be successful, labels no longer matter. When was the exact moment you fell in love with the game? In your opinion, what does it take to reach players today? It’s important to think in terms of 360 communication. Today’s kids talk in 280 characters, they talk in 30-second snapchats, and they can multitask. And just because they can do three things at one time doesn’t mean they’re disrespectful. It doesn’t require them to write you a letter on stationary for you to know that you’ve gotten through to them. Respect goes both ways, and our generation needs to respect the fact that technology has altered the way this younger generation communicates and relates to other people. It certainly doesn’t mean they’re disrespectful or that they don’t care, that’s the wrong reaction. I’ve found a way to connect to a 90-year-old and a 20-year-old by simply making the effort because love is love. Young players can spot it a mile away if you’re full of crap. They know when it’s about you. Be authentic, care about people and lead with love. Eventually, regardless of any generational disconnects, they’re going to say to themselves “wow, coach is really cool, she cares about us.” I put in the time to know their life, their kids, their wives, demonstrating I’d go to the wall for them. And they might say as a result, I’m a players’ coach. I don’t think of it like that. I just know that I care about my players and as a result I can be a better coach and I can get through to them. Building that trust allows me to get through to them when we’re talking strategy and what makes for a good shot. It takes time to build those relationships, but those connections are critical.